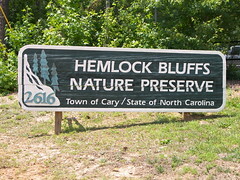 Hemlock Bluffs Nature Preserve in Cary NC is a great stop off for a shady stroll in the woods. And, be careful! At Hemlock Bluffs, you are always at risk of learning something about nature! 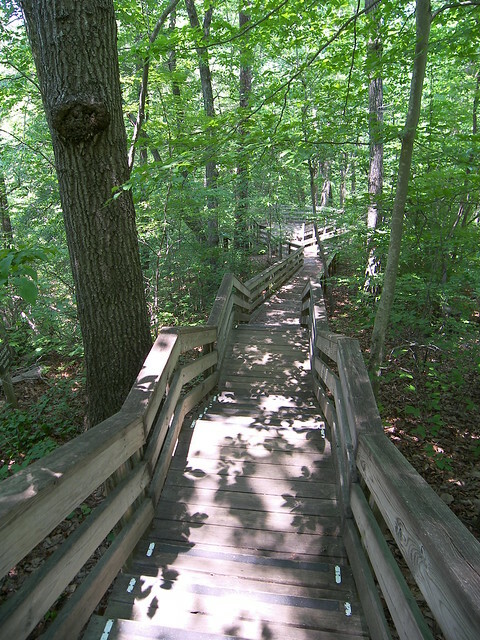 Located south of downtown Cary, at 2616 Kildaire Farm Road, Hemlock Bluffs Nature Preserve is easily accessed from surrounding neighborhoods, and also by visitors to Harold D Ritter Park, via the Swift Creek Greenway. The Preserve and Stevens Nature Park combined with other parcels owned by the State of North Carolina and the Town of Cary totals well over 100 acres of lovely wooded scenery. 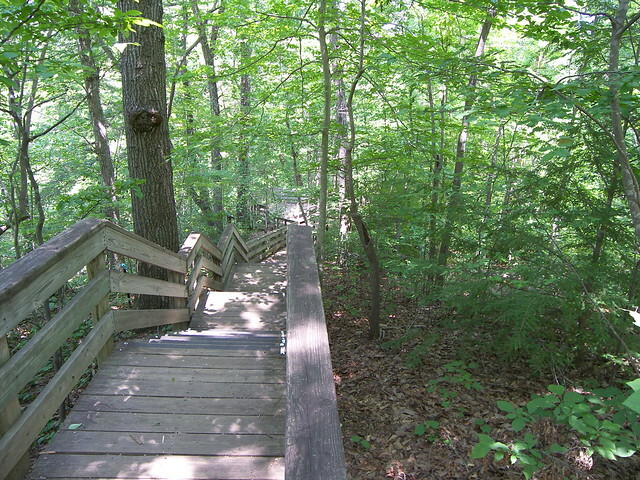 While any shady walk in the woods is nice on a 93 degree Cary Spring day, this stroll is extra nice due to the paths and walkways that were constructed, often supported by local Boy Scouts working for Eagle Scout rank. Additionally, Hemlock Bluffs Nature Preserve is home to a lovely stand of Eastern Hemlock trees, which are over 200 miles from their typical growing environment. The steep north-facing bluffs help buffer the heat of summer and provide the hemlocks a reasonably suitable growing environment. 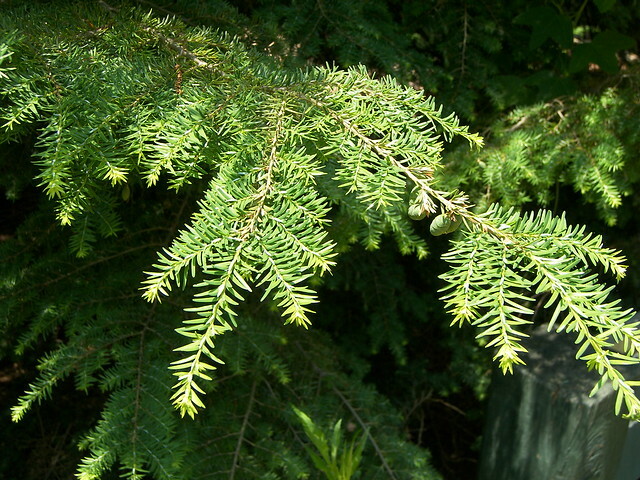 Recently, the hemlocks were infested with a parasite, and efforts by the Town of Cary and the Friends of Hemlock Bluffs, the parasite was controlled. Hemlocks are truly a graceful conifer, and that was good news. 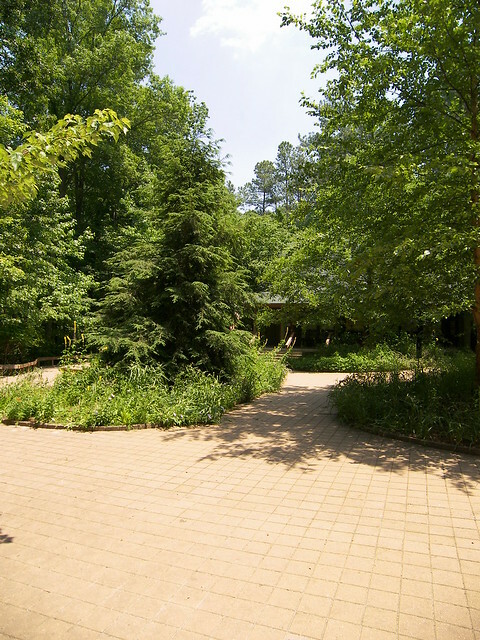 Indoor and outdoor classrooms and group educational programs are very popular at Hemlock Bluffs. The preserve and Nature Park revolve around teaching, learning, and appreciation for the natural surroundings.